If you think caviar only comes from fish, think again. You can also make it from squashes and eggplant. Try to imagine the Russian festive table without caviar...it’s almost impossible. Red and black caviar was in short supply during the Soviet Union, today it’s easier to get your hands on the silky fish eggs, which are still heavily associated with New Year celebrations. 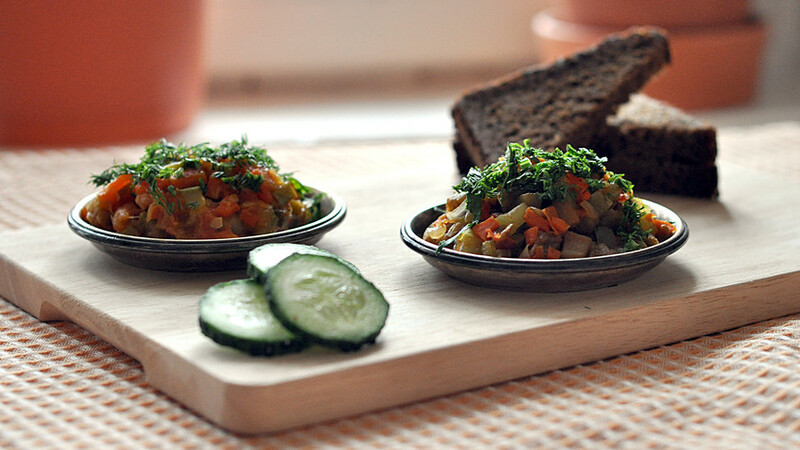 In the USSR, vegetable “caviar” was used as an alternative and was sold in local shops. It was usually made from young squashes or chubby eggplants. 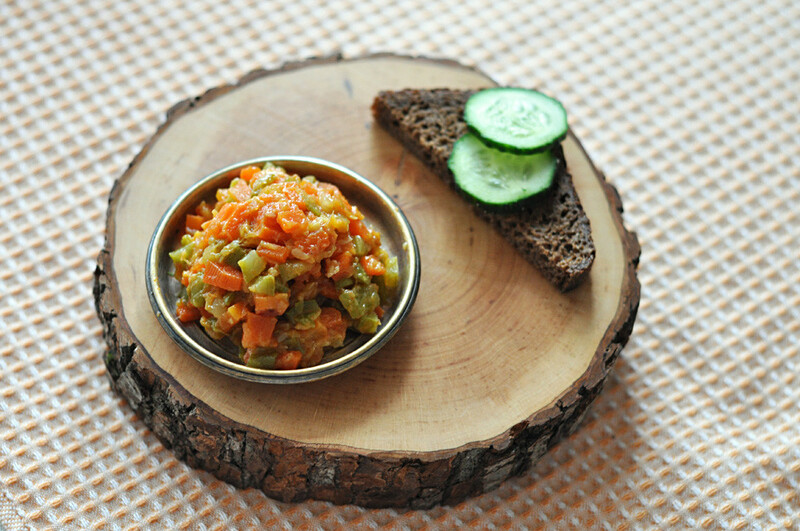 What does Russian veggie caviar look like? 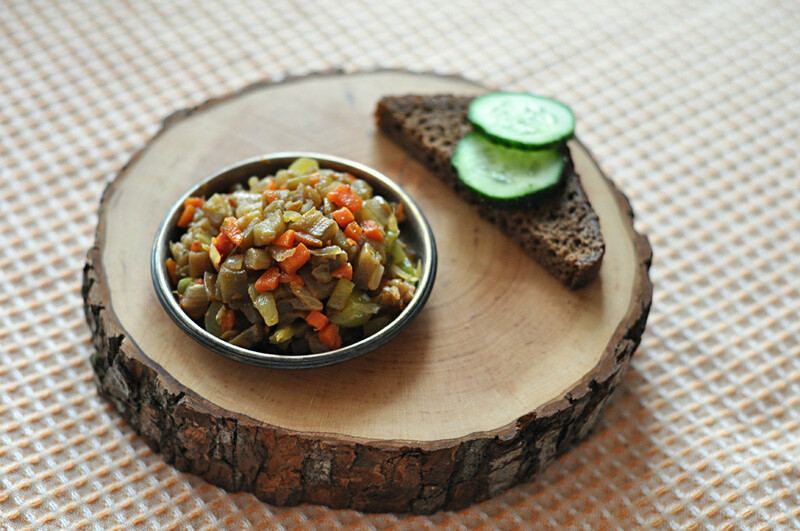 Vegetable caviar is a bit like ragout - so why is it called “caviar?” In Russia, the word “caviar” (“ikra”) has the same common root as the verb “to cut” (“kroit”) and the word “edge” (“krai”), meaning the way of preparing the dish. To get salmon caviar the fish needs to be cut - to get squash caviar the vegetable needs to be cut. With this in mind, in Russian dictionaries caviar is defined like this: “A dish from finely chopped vegetables, mushrooms, and plants.” Mushroom caviar, for example, has been made in Russian kitchens for centuries, while eggplant and squash caviar were super popular in the Soviet Union. For many Russians, the taste of canned caviar brings back childhood memories and many people preferred it to their mother’s homemade one. People canned a lot of food in the USSR, especially during the winter as the process preserves vegetables. The production of canned squash caviar started in the 1930s. However, a violation at one factory caused a botulism outbreak in 1933 in Dnepropetrovsk (modern Ukraine) that killed 200 people. For years afterwards, canned squash caviar was not considered safe to eat, until it was spotted on the Soviet first lady’s menu. At one point the full-bodied wife of Nikita Khrushchev - Nina - was trying to follow a diet, according to Russian historians. As a result she was eating many vegetables, including squash caviar. Her husband was apparently so inspired by the dish that he ordered the construction of the largest modern canning plant: Squash caviar was back on the menu in the Soviet Union. Squashes contain a lot of fiber (even after cooking) and don’t have many calories, so they are pretty healthy. What links Ivan the Terrible and eggplant caviar? Besides squash, in the Soviet Union there was eggplant caviar. This vegetable was only grown in the south - that’s why many considered it unusual. Eggplant caviar has never been in short supply but only really became popular after the cult movie Ivan Vasilievich Changes Profession (1973) by Leonid Gaiday. The legendary film director portrayed eggplant caviar as a very rare “overseas” delicacy that was worthy of a prominent place at the tsar’s feasting table. In the movie huge plates of fish caviar are shown, but only a tablespoon’s worth of the eggplant variety was filmed. This scene was so popular in the Soviet times (and after) that many Russians still refer to eggplant caviar as from “overseas.” After Gaiday’s movie, it also became trendy to eat it during festive dinners. 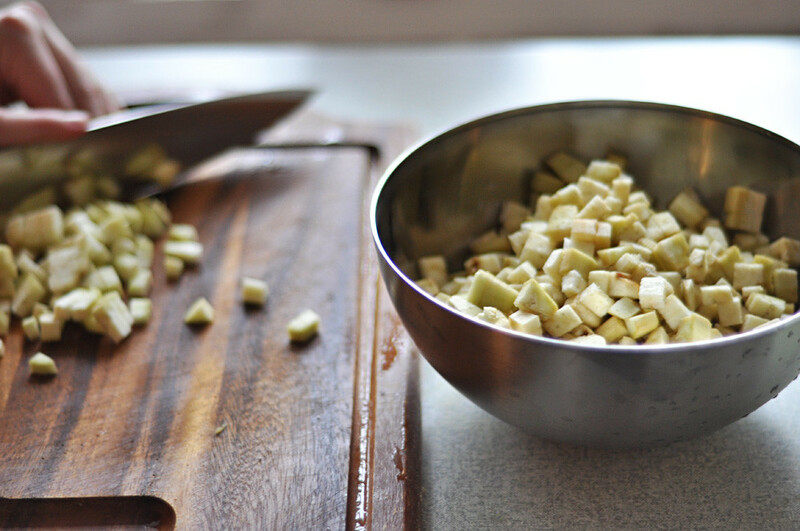 - Cut the squashes into small cubes (you can peel them it if you want). Finely chop the carrot. 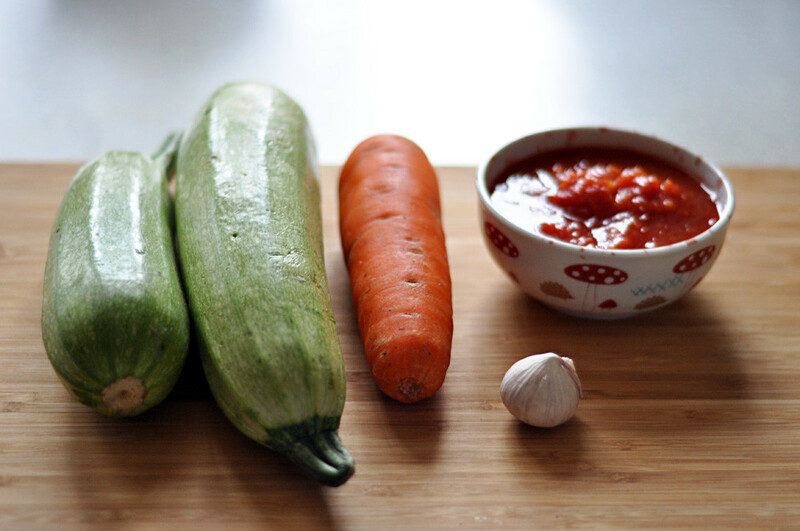 - Put the squashes and carrots together in a pan, add a glass of water, cover, and simmer on a mild heat. 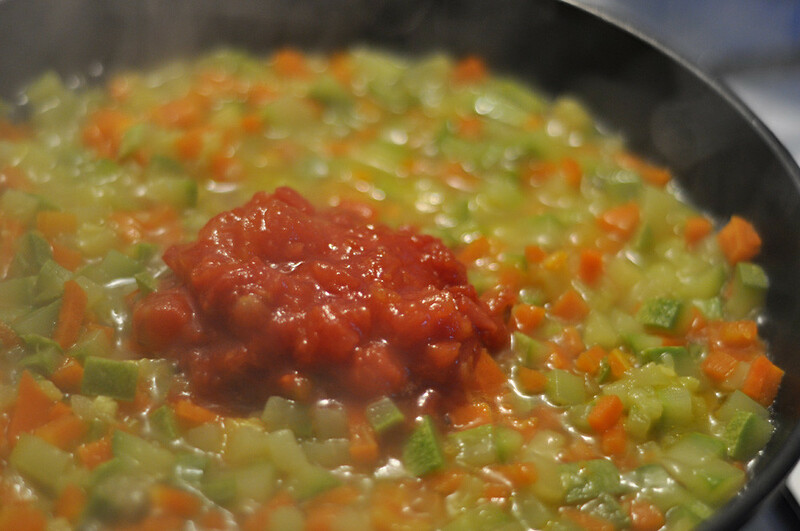 - When the vegetables are soft, add the tomato paste and a bit of oil, salt, stir, remove the cover, and simmer until the water is evaporated. - When the dish is almost ready add the pressed garlic. - Serve it cold or warm. 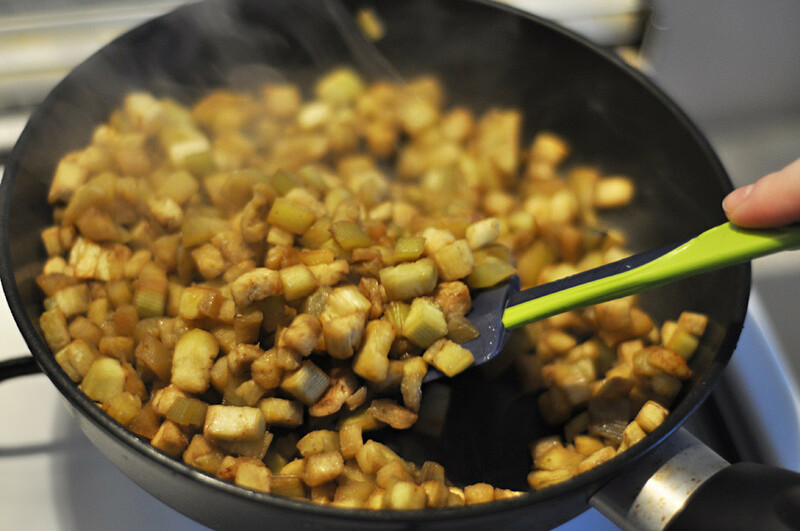 - Peel eggplants and cut into cubes, salt, and let them rest a little. Then fry in oil until soft. 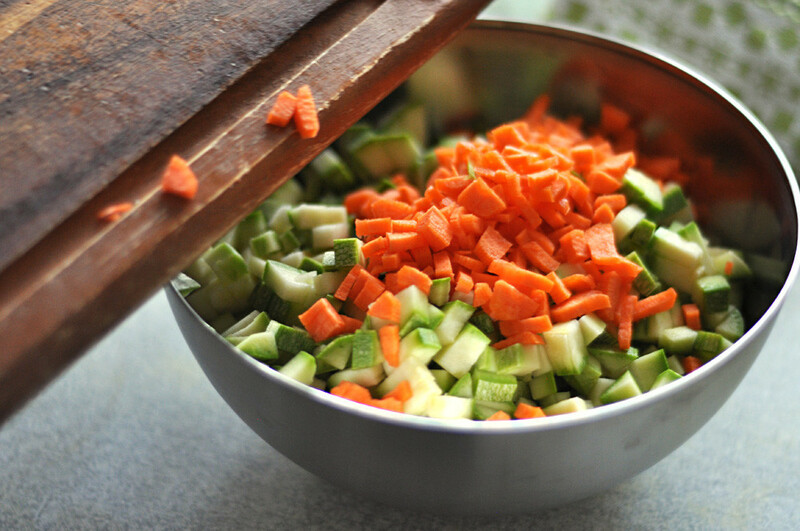 - Cut carrot and onion into cubes and fry in oil in another pan until soft. Add sliced pepper and cook for five more minutes. Then add tomato paste and cook about five to seven minutes. 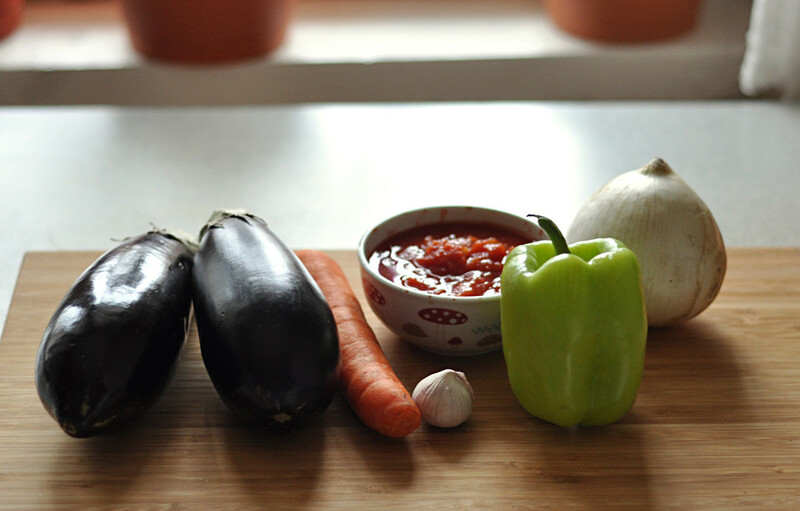 - By this time your eggplants will be ready so it’s time to add them to the carrot, onion, and pepper. Add vegetables, garlic, salt; cover the pan and simmer for another five minutes. - Eat warm or cold. Do you know how the Soviet Union brought culinary equality to the table? Check out this story!